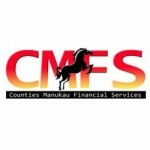 On Friday there was a free event organized by the Auckland City Council and supported by CLM (Community Leisure Management) and Porse Pukekohe. It included a 6 m high rock climbing wall that was super popular with the kids as well as a volley ball net and cricket pitch set up. With the great summer weather breeze, kids ran around and played on the flying fox and playground. This free event is part of a ‘Out and About’ program that will be run through out the summer. More details on upcoming ‘Out and About’ free events can be found here.